When fans think of the X-Men, they think of people capable of the impossible. They may have to consider artist Michael Murphy one of them. He’s created a jaw-dropping piece of art based on the new X-Men themed TV show, Legion. The piece is called “Suspension of Disbelief,” and it’s a fitting title in more ways than one. We’ll let it speak for itself. The piece is one of several in the Legion-themed art exhibit called “Where?House.” It’s on display through January 29 at Villain, 50 North 3rd Street, Brooklyn, NY. You can find more details, including hours, at this link. 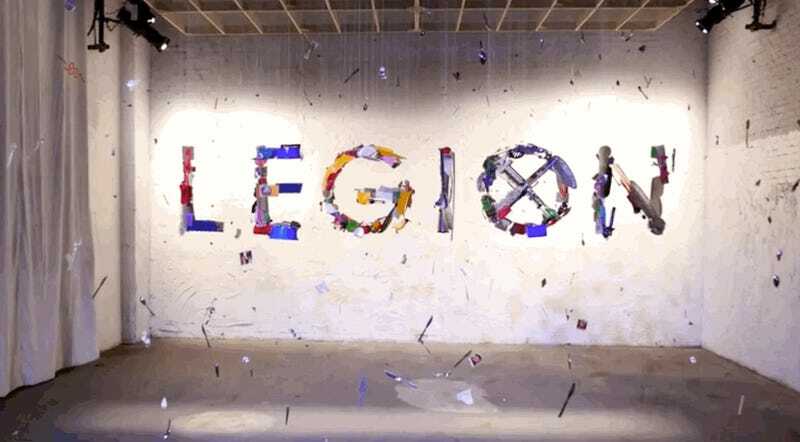 Legion premieres February 8 on FX.